Your company’s branding is one of the most important aspects of your business. Often people think of logos and mission statements as the brand. While those are certainly key points, there is a lot more to defining your brand. 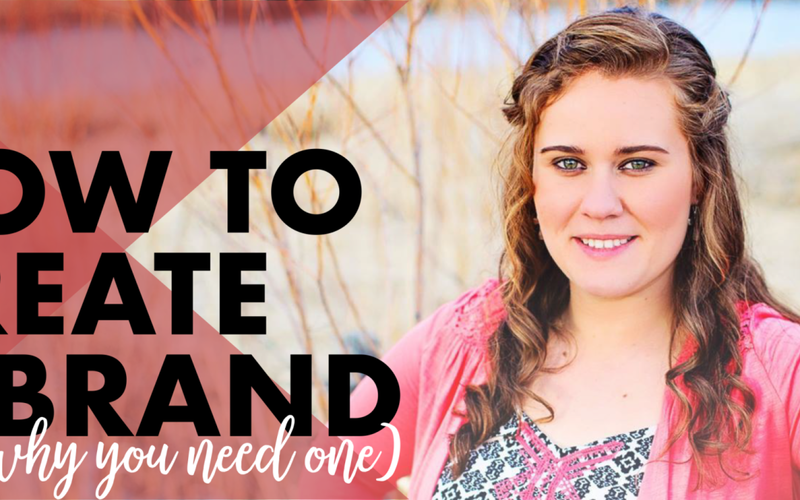 I want to go over a few key elements on how to create a brand and why it’s necessary. A potential customer visiting your website or social media page(s) should be able to identify your message quickly and easily. It should be simple, relevant, and easy to repeat. If you have a team working with you, each member should be able to explain the company message in a clean and concise manner. When you’ve built a business from the ground up, it’s understandable to feel you are the headliner of the company. Your ideal customer should be your #1 priority. Focus on them once you have found out exactly who you are speaking to. Don’t get caught up worrying about your competition. Save your attention for your customer’s wants and needs. Learn how to Turn your Followers into Customers. Having a beautifully designed website is crucial and often the first impression a potential customer will have of you. If you are hiring out a designer for your company’s site, consider seeking one who has experience in sales, marketing, advertising, and/or other business areas. Although the aesthetics are essential, a pretty website that is difficult to navigate or that doesn’t direct a customer to purchase isn’t going to do you much good. Customers are loyal when they can know, like and trust you. One of the fundamentals to achieving this is having a strong, unique voice. If you were to hide your name and logo, you want to have a signature style of writing that is easily recognizable to your customer. Voice can take some time and experimenting to sharpen, but once it is defined, make sure to stick to that style. Join the conversation about topics like this and more with the KRose Marketing and Consulting Crew.